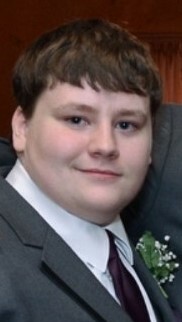 Jonathan Patrick Fifer, 18, of Montpelier, OH passed away on March 19, 2019 in Lenawee County, MI. He was born on February 19, 2001 in Secaucus, New Jersey to Richard D. and Jacqueline (Good) Fifer. Jonathan was set to graduate from the law enforcement class at Four County Career Center in May of 2019. He had intentions of serving his country by enlisting in the United States Marine Corps. Jonathan was a member of the Montpelier Fire Department Junior Auxiliary for the last two years. He was also involved with the Four County Drug Free Clubs of America. Jonathan was an avid fisherman who loved to play video games, listen to and create his own music and always enjoyed his daily trip to Circle K.
He is survived by his father, Richard D. Fifer, Sr. (Irene Casillas) of Montpelier; four brothers, Richard D. (Bethany) Fifer, Jr. of Mahwah, NJ, Justin R. Fifer of Secaucus, NJ, Brendan M. Fifer of Montpelier and Jack C. Fifer of Montpelier; paternal grandmother Rosella M. (George) Fifer-Nicely of Hamler, OH; maternal grandfather, James Good of Bayonne, NJ; aunts and uncles, John “Dave” (Bev) Fifer, Jr., of Defiance, Michael (Tonya) Fifer of Napoleon, Kellie (John) Fifer of Bryan, Neal (Amy) Fifer of McClure, OH, Thomas (Natalie) Fifer of Atwater, OH, Maria (Chuck) Fay of Stevensville, MI, Georgeana (Craig) Boston of Grand Rapids, OH and James (Siobhan) Good of Bayonne, NJ; numerous cousins, other family and friends. He was preceded in death by his mother Jacqueline Good; paternal grandfather John D. Fifer, Sr.; maternal grandmother Claire D. Good; two aunts, Rachel Fifer and Barbara (Robert) Good; and cousin Kristina A. Fifer. A visitation for Jonathan will be held on Friday, March 22, 2019 from 3-8 pm at the Thompson Funeral Home on Main Street in Montpelier with a rosary service at 7:30 pm at the funeral home. A funeral mass will take place on Saturday, March 23, 2019 at 10:00 am at Sacred Heart Catholic Church in Montpelier, OH with Father David Tscherne to officiate. Interment will follow at Riverside Cemetery in Defiance. Memorials may be made to the Montpelier Fire Department.